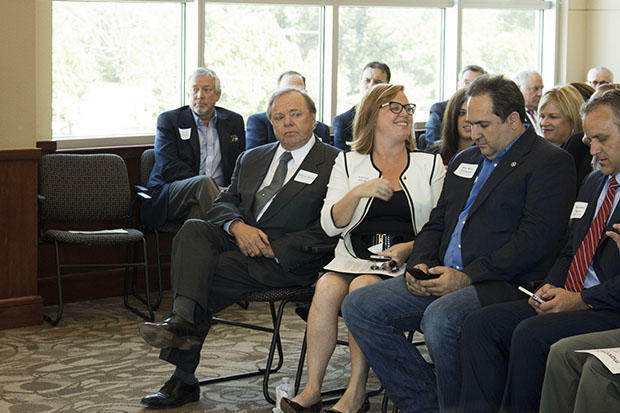 Continental Resources founder and CEO Harold Hamm, second to the left, at the Oklahoma Independent Petroleum Association's office in Oklahoma City. Oklahoma legislators are considering eliminating some tax credits and incentives for businesses to help plug a $1.3 billion budget gap. The state’s fiscal crisis has led some oil and gas leaders to push lawmakers to end incentives for the wind industry. The wind industry had a busy year at the state capitol in 2015. 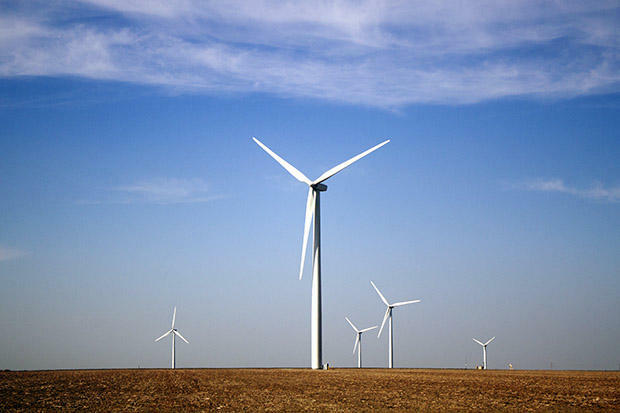 Governor Mary Fallin signed legislation paving the way for stricter turbine siting rules. Fallin also signed legislation to sunset by the end of 2016 a pair of tax incentives available to the wind industry. One incentive, the Investment/New Jobs tax credit, was rarely used by wind developers. The other was a five-year exemption on local property taxes that was very popular. Eliminating the ad-valorem exemption was estimated to save taxpayers $45 million to $50 million a year — and as much as $77 million annually by 2018. Speaking on the floor in May 2015 during a final vote in the House on Senate Bill 498, the measure eliminating the property tax exemption, Republican Rep. Earl Sears of Bartlesville said all sides came together to cut a deal. The wind industry says last year’s negotiation to phase out the two incentives hinged on a promise from lawmakers to keep in place a third tax incentive — called the Zero Emissions Facility Tax Credit — which is available to the renewable energy sector. A lot has changed in a year. Oil prices tanked. Natural gas prices slid. The state budget gap has more than doubled. And now, some heavyweights in Oklahoma’s oil and gas industry have organized a campaign that’s taking aim at the state’s financial support of the wind industry. “From an energy policy standpoint, I think we have achieved our goals and we should not be incentivising wind development to the extent we are today,” says Pete Delaney, who sits on the board of directors of Enable Midstream, a company that collects, transports and stores natural gas and oil. He’s also the former Chairman and CEO of Oklahoma Gas and Electric, the state’s largest electricity utility. “The fiscal situation is worse, the amount of tax benefits going to the wind industry is growing every year,” Delaney says. Oklahoma is currently fourth in the nation for wind capacity, according to a state-by-state analysis by the American Wind Energy Association. Delaney says that means wind energy is established and commercially viable, and doesn’t need taxpayer support. He also says ending the wind incentives and taxing wind production would encourage utilities to use more natural gas, which has a bigger economic effect in Oklahoma. Delaney is part of the so-called Windfall Coalition spearheaded by billionaire oilman Harold Hamm, the founder and CEO of Continental Resources. Hamm did not grant StateImpact’s request for an interview. Anti-wind incentive billboards have popped up around Oklahoma City. Some include foreign flags to remind motorists that taxpayer dollars are going to wind companies in other countries. The signs also suggest state government funding that could go to schools are instead directed to wind companies. The campaign has found support with other oil and gas executives and the Oklahoma Independent Petroleum Association, a pro-industry group. 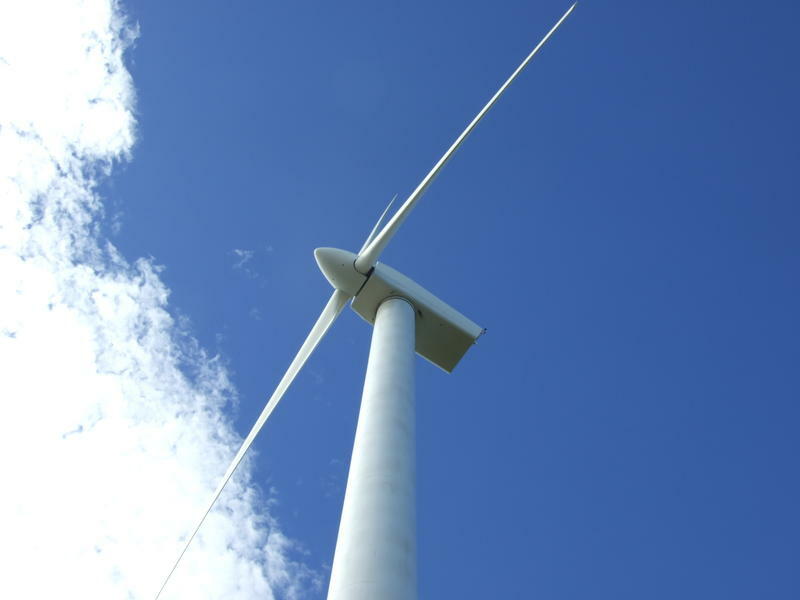 Together, they’re calling for an end to all state wind energy incentives. They also want even tougher siting rules and a new state tax on wind production. Jeff Clark with the Wind Coalition says oil and gas executives are not interested in a level playing field. “They’d like to eliminate any incentives available. Only for my industry, not for their own,” he says. The fossil fuel industry should encourage wind energy development, Clark says, because they’re “complementary” sources of electricity. “They’re symbiotic, they grow together,” he says, pointing to data from the U.S. Energy Information Administration. “Together we’re making Oklahoma more dependent on natural gas and renewables, which is good for everybody. Delaney, the former electricity utility boss, says a diverse mix of fuel sources is needed to provide reliable electricity to customers, but he says the intermittent nature of wind power means extra costs for utilities who have to keep natural gas or coal-fired plants at the ready to fill in the generation gaps. “The amount of wind that’s getting on the system is quite substantial, particularly during periods that we’re not under peak load conditions, like fall and spring,” he says. Clark says adding more siting rules and taxing wind production would make Oklahoma less attractive for wind developers. New turbine projects might go to Kansas or Texas, he says. Clark is urging the Legislature to honor last year’s deal and keep the remaining Zero Emissions Facility Tax Credit, which expires at the end of 2020. Opponents say Oklahoma’s fiscal crisis is reason to pull back support of the wind industry. Clark says the state’s economic problems mean it’s a terrible time to end the industry’s one remaining incentive and create a new tax on wind production. Both sides say all options are on the table as lawmakers scramble to plug its budget hole. U.S. Sen. James Lankford is introducing a bill to remove an expired wind energy incentive from the federal tax code. The federal Production Tax Credit for wind energy expired in December 2014, but since it’s part of the tax code, lawmakers can extend it by bundling it with legislation to extend other tax credits and incentives. That has happened as recently as July, when a Senate committee voted to extend the PTC as part of a $95 billion bundle of incentives. Gov. Mary Fallin signed a bill in May 2015 ending a program that afforded many wind developers a five-year exemption on property taxes. The measure, Senate Bill 498, authored by Mike Mazzei, R-Tulsa, was projected to save the state $500 million over 10 years by sunsetting an ad valorem exemption on Jan. 1 2017. U.S. Sen. James Lankford, R-Oklahoma, wants to end a federal tax subsidy for the production of electricity through wind power. The freshman Republican introduced legislation that would not allow any more companies to qualify for the tax credit after 2019. While it wasn’t the biggest reason for Oklahoma’s budget woes, state officials said revenue was hurt by an unexpected claim on wind tax credits.